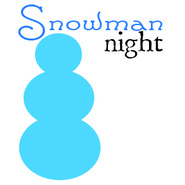 Celebrate winter and cold and snow with a night dedicated to making your very own snowman. Pizza dough is fabulous. You can make it in any shape. 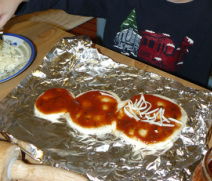 Make your own dough, buy frozen dough or even get the pizza rounds in the bread aisle. Cut/shape into 3 different sized circles. Stack, top with favorite toppings, bake, enjoy. Dessert: Enjoy those fabulous powdered sugar donut hole for dessert. Stack 3 on a wooden/metal skewer. Wrap with fruit leather for scarf and hat. Enjoy! 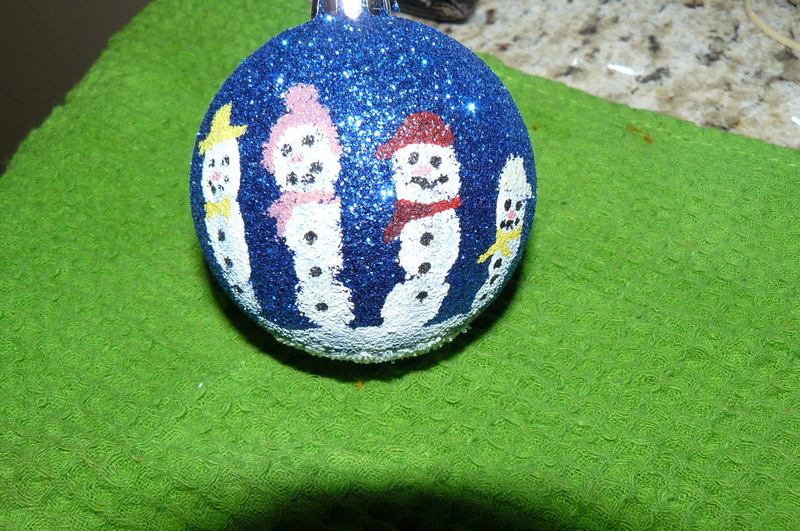 Decorate a plain ornament as a family of snowmen. 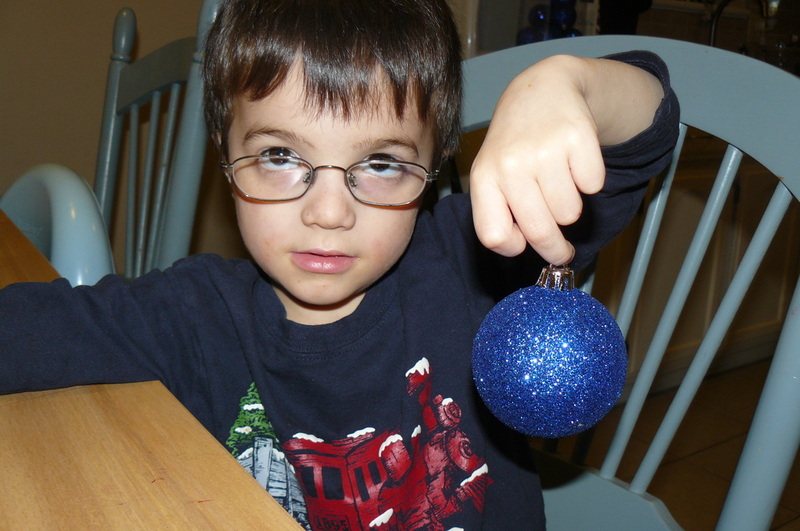 Paint your hand white then wrap it on a colored ornament, any color will do. 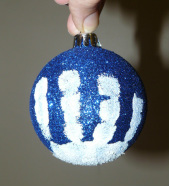 Once dry, take markers and decorate each finger print as a snowman. Grab an extra roll of toilet paper, some accessories (scarf/hat/etc) and dress each other up as a snowman.